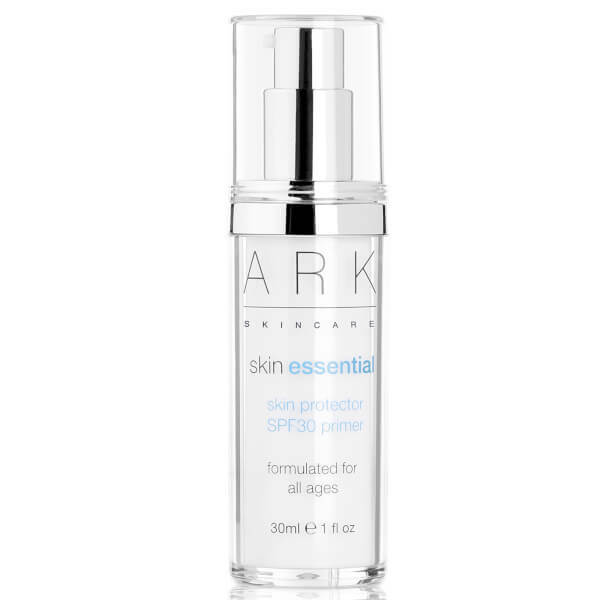 The ARK Skin Essential Skin Protector SPF30 Primer is an award-winning makeup primer that protects against harmful UVA and UVB rays whilst priming skin for smooth makeup application. Providing broad spectrum protection to help prevent sun damage and premature ageing, the vitamin and mineral-packed solution combines antioxidant Vitamin E with nourishing Shea Butter to safeguard and hydrate skin whilst prolonging makeup wear for a long-lasting, airbrushed finish. Your complexion looks flawless and radiant. 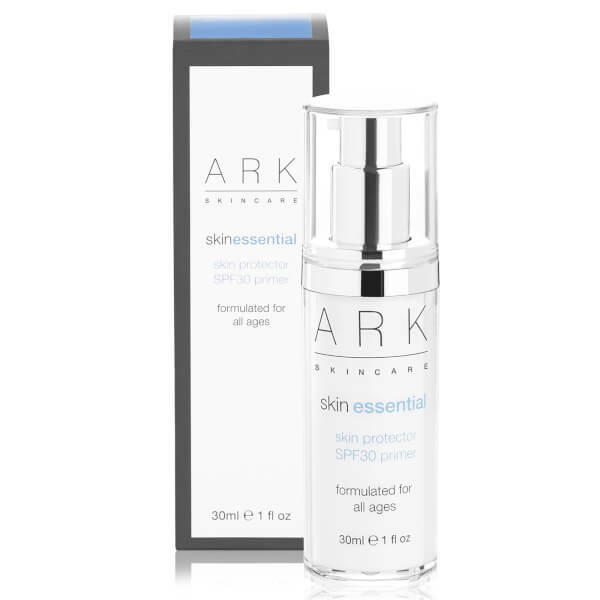 Smooth this beautiful primer over face and neck after applying your ARK moisturiser. Can be used alone or under make-up. Aqua (Water), Octocrylene, Ethylhexyl Methoxycinnamate, Benzophenone-3, Butyl Methoxydibenzoylmethane, Acacia Decurrens/Jojoba/Sunflower Seed Cera/Polyglyceryl-3 Esters, Dimethicone, Cyclopentasiloxane, Xylitylglucoside, Tapioca Starch, Caprylic/Capric Triglyceride, Stearic Acid, Glycerin, Butylene Glycol, Ethylbisiminomethylguaiacol Manganese Chloride, Glyceryl Stearate Se, Phenoxyethanol, Anhydroxylitol, Polysilicone-11, Tocopheryl Acetate, Benzyl Alcohol, Xylitol, Sodium Stearoyl Glutamate, Xanthan Gum, Butyrospermum Parkii (Shea) Butter, Disodium Edta, Ethylhexylglycerin, Polyacrylamide, Parfum (Fragrance), Limonene, Sodium Stearate, C13-14 Isoparaffin, Dehydroacetic Acid, Polymethylsilsesquioxane, Geraniol, Linalool, Laureth-7, Citral. Tried quite a few SPF creams over the summer and found this one was by far the best. Sinks nicely into the skin, doesn't irritate, really good primer too. Highly recommended. First purchased this primer after researching high quality primers. the reviews were really promising, so although pricey decided to give it a try. This product lives up to it's hype, unlike so many others, that over the years have ended up as hand cream. Goes on like a dream, not at all greasy, and makes your skin feel special. Mankind also offer it at the most competitive price available. really good - not sticky so easy to apply. quick delivery. 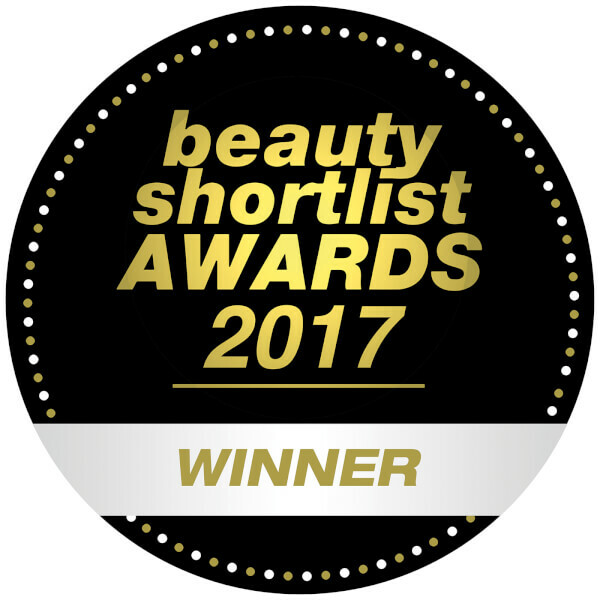 This came top in an online comparison review for light non-greasy unobtrusive face UV protection. As a guy, I just used to slap on general purpose high spf ambre solaire or the like on my face on bright summer days. But this was a right pain with the stuff taking a really good rubbing in to be absorbed and make your face look pale and greasy and it felt horrible. So I'd be reluctant to use any and what do you know, past 40 I've now got a mud spattered complexion due to sun damage. 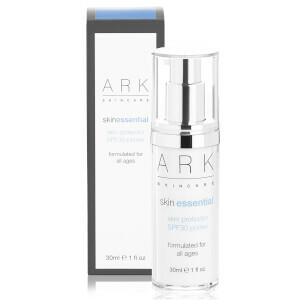 I got this proper Ark product as a prelude to getting some skin peels done and getting into the habit of wearing sun protection as a matter of course in the same routine as gel'ing my hair before going out, sun or no sun, in every season. The cream is light and is real quick to wack on without leaving a trace. Its pricey, but you get what you pay for. Just wish I'd looked into these things sooner. A higher spf version would be even better.